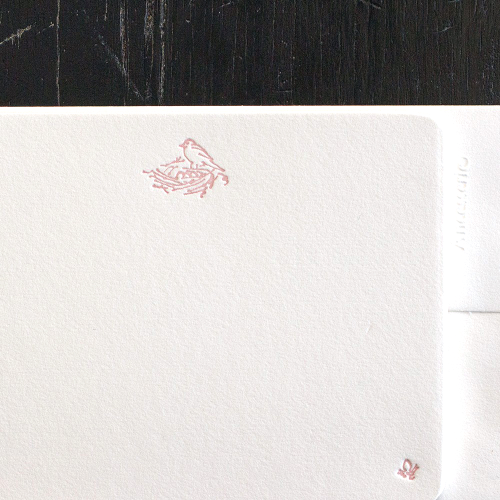 New for our Pixie Lily Papier: A sweet bird’s nest letterpress motif in both pink and blue. Hand rounded corners. 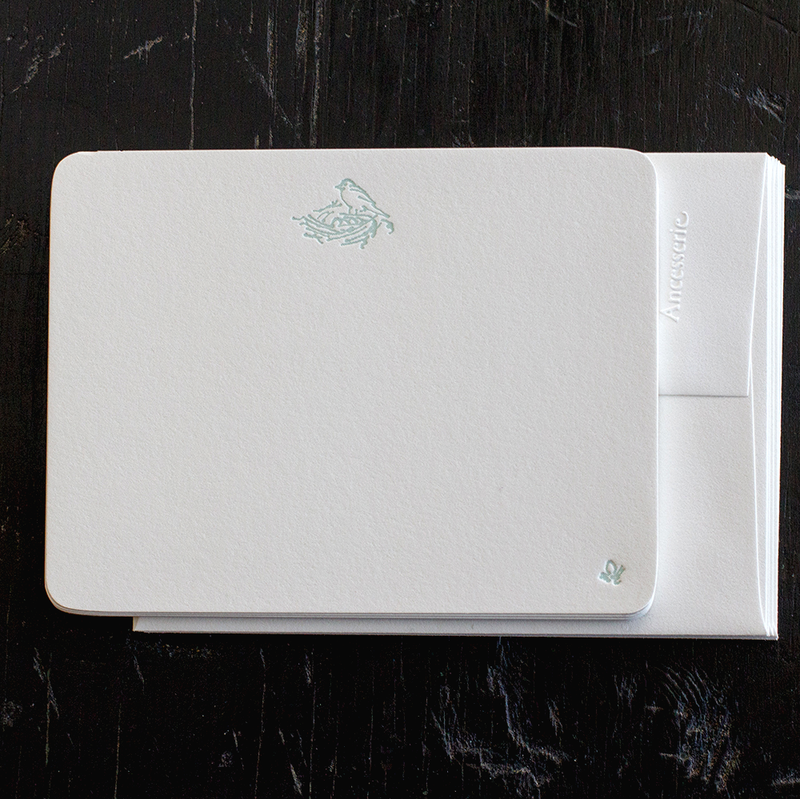 Rediscover and share the simple beauty of a hand written message with Ancesserie’s line of handmade notes and gift enclosures for Pixie Lily. Each card and enclosure, embellished with a Pixie Lily motif, is crafted using the same Chandler & Price letterpress that has been in Ancesserie designer Lydia Derrick Wherry’s family since the 19th century. 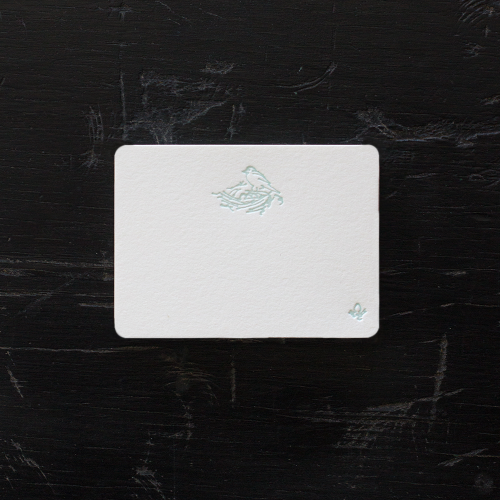 We only use the finest papers available for our letterpress goods. All are eco-friendly and take to your ink pen beautifully. Please allow up to 3 business days to process and ship your order.